Episode 38: Happy New Year! 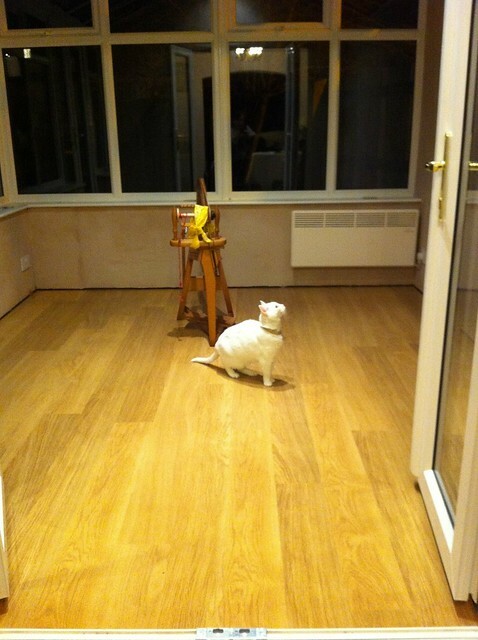 Hello from my newly decorated conservatory! This episode I natter about nibbling sleeves, compare spinners to moths, and contemplate future plans. Giveaway If you would like to be entered into the giveaway for either a skein of laceweight Posh yarn or a skein of sockweight Posh Yarn, leave me a message by February 4th telling me which one you’d like to win and why. You can leave a message here on the show notes, over on the show notes on the Blogspot site, over at the Ravelry group, or drop me an email on yarnsfromtheplain AT googlemail DOT com. 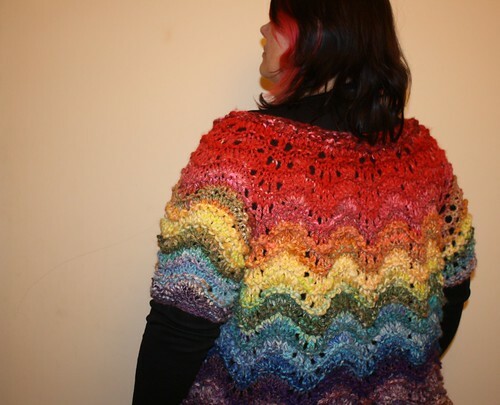 Off The Needles I finished the Rainbow Scrappy Liesl. I have been spinning the Cheviot I got in the Secret Santa on the UK Spinners board on Ravelry from Shunklies (no pictures yet I’m afraid). 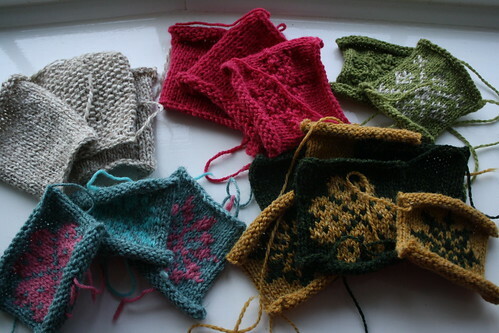 Woolsack Update The Cheshire Guild of Weavers, Spinners and Dyers have started their Woolsack cushion campaign by making little squares. Gratuitous Conservatory Picture Here’s one taken the day the floor was laid. Check out Stella’s confusion over the reflection in the roof! Feel free to leave a comment here or email me at yarnsfromtheplain AT googlemail DOT com. We have a Ravelry group here, so come on over to chat. You can find me on Ravelry as talesfromtheplain and on Twitter as talesfromplain (although Tweeting can be sporadic! ).